Unions, feminist associations and left-wing parties have called for a work stoppage for two hours on 8 March, hoping to recreate the strike and mass protests seen nationwide to mark the same day in 2018. But things are different this year. Political parties are already busy campaigning for upcoming snap general elections on 28 April and European, regional and municipal polls on 26 May. The ruling Socialist party, centre-right Ciudadanos and the conservative Popular Party (PP) have all raced to pledge to do their bit against gender inequality in a country with a strong feminist movement. But virulent anti-feminism rhetoric has also made its entrance, with far-right party Vox and an ultra-conservative association that chartered a bus with the slogan “#StopFeminazis” coupled with a picture of Hitler wearing pink lipstick. 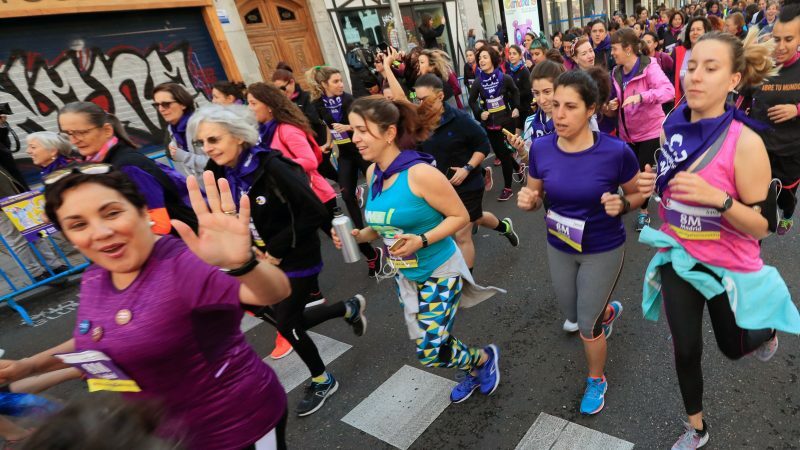 Feminism — defined as the advocacy of women’s rights on the ground of the equality of the sexes — like poverty or wealth redistribution, are usually more the remit of the left, says Cristina Monge, sociology professor at the University of Zaragoza. Socialist Prime Minister Pedro Sánchez has made them a central theme of his campaign. 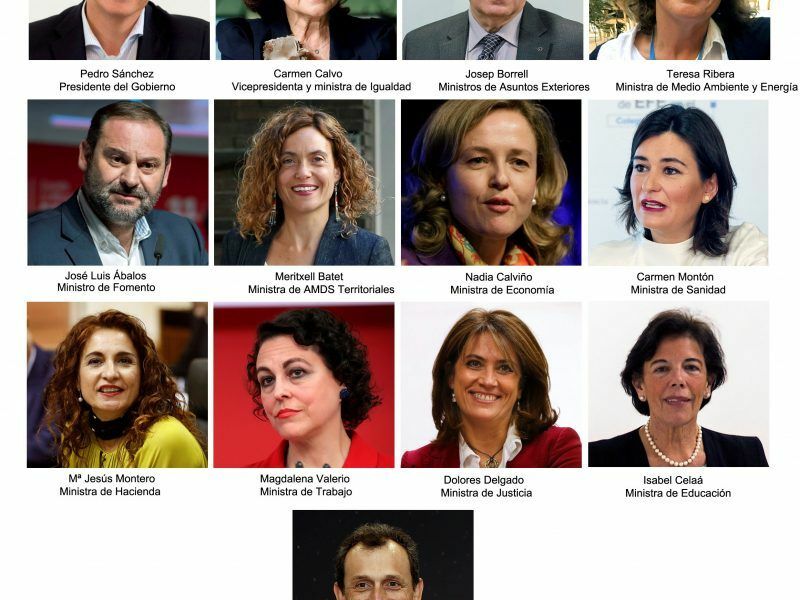 On Friday in its cabinet meeting, the socialist government — which has the most female ministers in Spain’s history — approved a number of progressive measures. Spain’s Socialist Prime Minister Pedro Sánchez on Wednesday unveiled a new pro-EU government with the most women in modern history, with 11 female and six male ministers. Among them, a gradual increase in paternity leave so that it equals maternity leave by 2021, and more transparency on salaries in companies. They aim to reduce the gender pay gap, which stood at 14.2% in Spain and 16.2% in the European Union in 2016, according to the latest Eurostat figures. But Spain’s right-wing parties have also embraced feminism for years, even if they have not called to mobilise on 8 March. Conservative PP meanwhile has glossed over a speech by its leader Pablo Casado criticising abortion and is pledging to reduce the gender pay gap and help women enter the labour market. “Let’s not let them speak in our name,” said outgoing parliament speaker Ana Pastor in a PP campaign video — in reference to the left. In Spain, 77% say a strike on 8 March is justified, according to a survey by polling firm Metroscopia published Monday. That, however, is five percentage points less than a year ago, particularly among those on the right as Vox’s popularity increases. The far-right party, which could play a decisive role after elections in helping other right-wing parties secure a majority in parliament, opposes a law against gender violence that it feels is “ideological” and “discriminatory” towards men. The bus chartered by conservative, Catholic association HazteOir (“Make yourself heard”), which compares feminists to Nazis, has been driving around the country for several days. It is protesting against a law fighting gender violence, another for gender equality and yet more for LGBT rights, arguing these all discriminate against men. Prosecutors in Barcelona asked the bus to be stopped when it came to the Mediterranean city, charging it incites hate and discrimination, but a judge refused to do so, citing freedom of expression. Meanwhile the “Women of the World Global Platform,” a Spanish initiative that groups together conservative associations from around the world, has called for a counter-protest in central Madrid on 10 March. International Women’s Day “has converted into a day for those who reject femininity as well as masculinity, complementarity, maternity and dedication to the family,” spokeswoman Leonor Tamayo said in a statement.